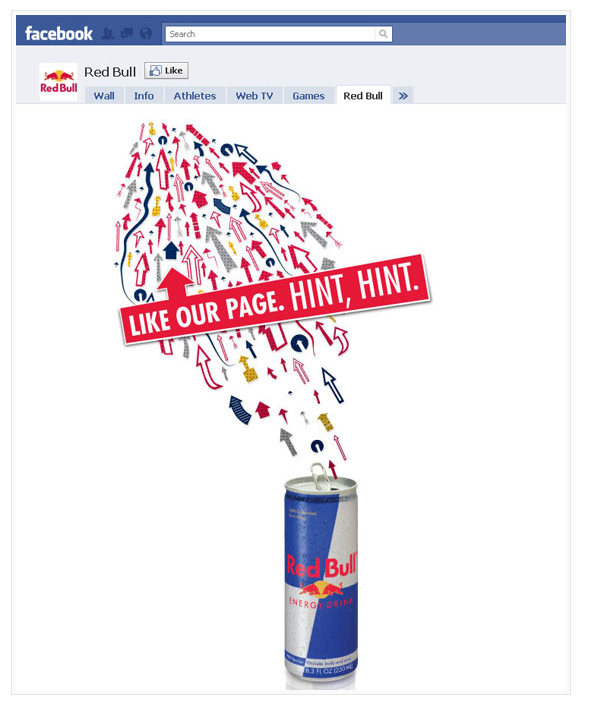 RéserveGroup Blog - Your Tourism Marketing Agency: Is your Facebook Wall boring? Get a custom Facebook Page! Is your Facebook Wall boring? Get a custom Facebook Page! With the big corporates taking the lead, more and more companies are now creating a custom landing screen for their Facebook Page. They give your Facebook Page a wow factor that puts you beyond your competitors; grabbing the viewer's attention and interest so much more than the standard Wall. Not as expensive as you might think!Getting your own Facebook custom page is probably easier than you think - it needn't cost and arm and a leg to create something that boldly, attractively displays who you are and what makes you a great company to do business with. To get you inspired, we've found are a few cool custom Facebook pages that are all relatively simple! Very simple (and easy to achieve) landing page for Subway New Zealand. 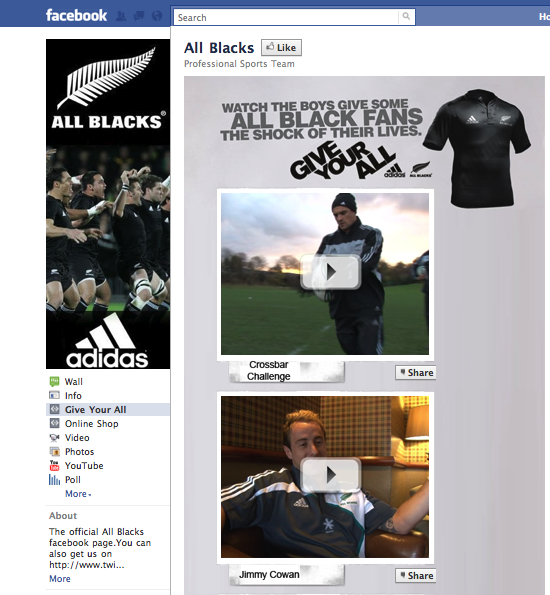 Watch YouTube videos of your favourite sports heros right on the All Blacks Facebook Page. If you currently have video that promotes your business, you'll be glad to know that it really is not too tricky to add this to your main Facebook Page! 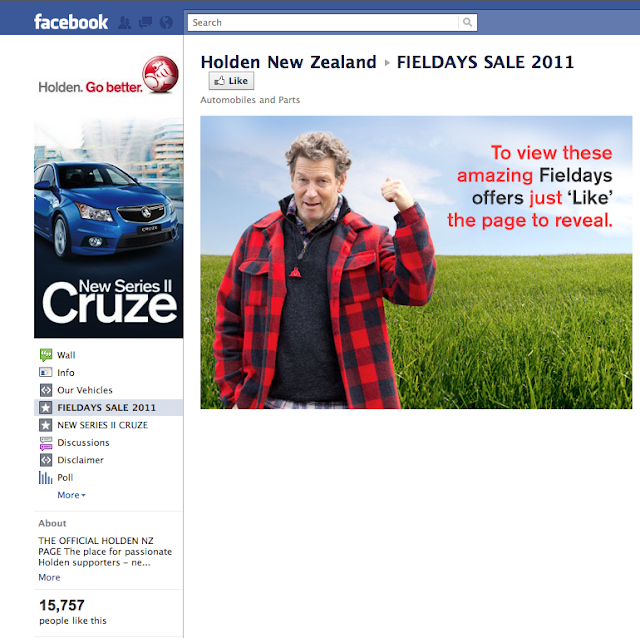 Another very simple, low-cost custom Facebook Page - with a cheeky sense of humour! 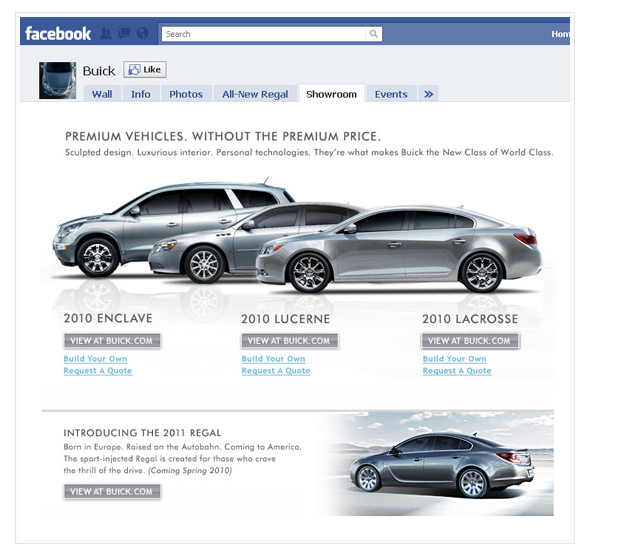 Along with a custom landing page, Buick (USA) has created a special new tab within their Page. You can create a custom landing page that every viewer can see, or you can actually hide certain aspects from them - until they LIKE you! For example, you might offer 'VIP' discount deals to your Facebook Fans only, or create special content such as Videos, an interactive game or helpful resources (B2B) that only people who LIKE you can access. 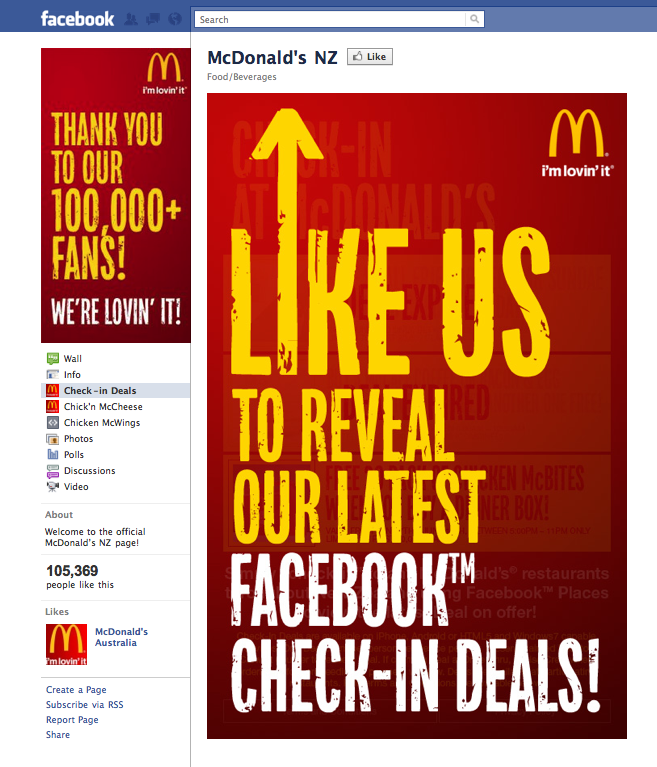 McDonald's New Zealand offers special deals for their official Facebook Fans. You must LIKE to reveal! 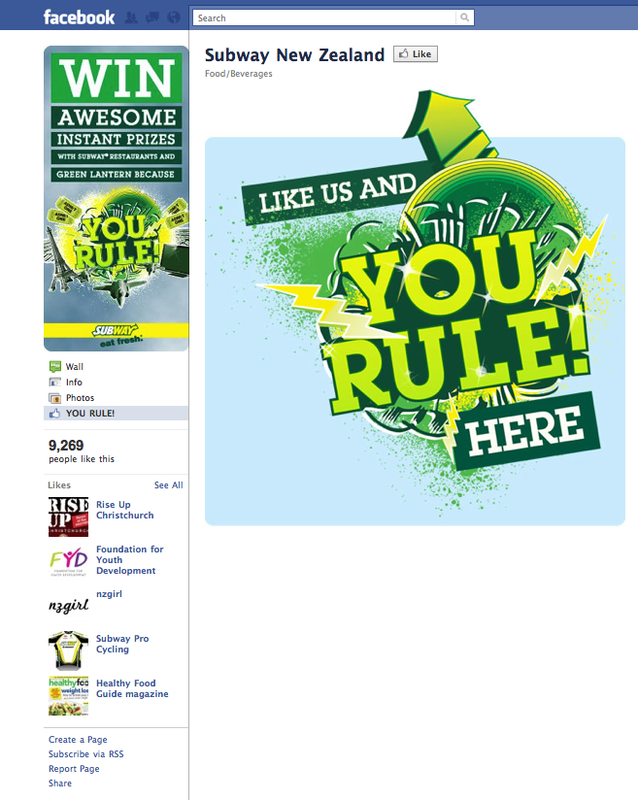 Want your own custom Facebook Page to start turning more lurkers into LIKERS? Contact ReserveGroup, we create custom Facebook Pages! 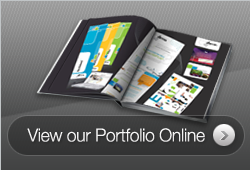 The best of internet marketing options will certainly get a whole lot of revenue coming your way. You will be able to forget the traditional ways of marketing which are no longer effective and move on to the more contemporary ones such as pay per click management, video creation and the best of search engine optimization. You can buy instagram followers UK with free Instagram post Likes, Twitter followers. Facebook likes. And hire Consultant if you want personal consultant. 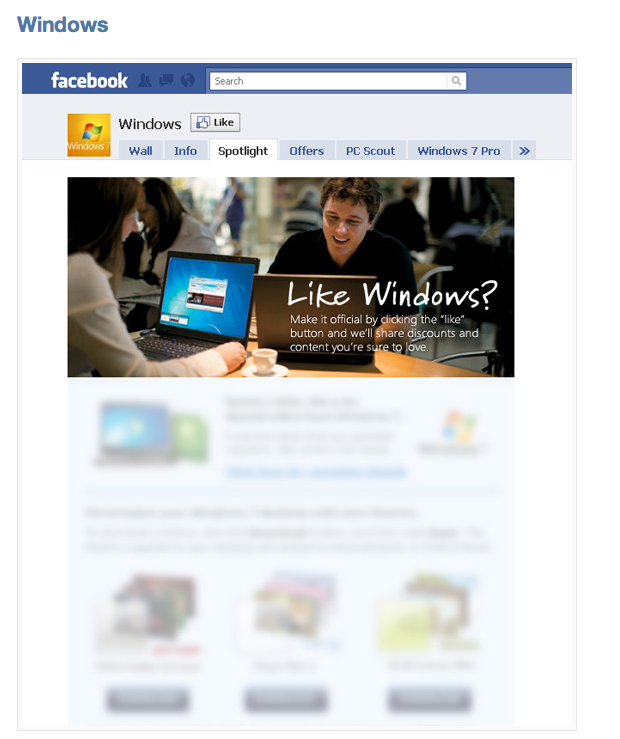 Facebook is mainly for social networking and finding friends and keeping in touch with them through Facebook. Many people facing problem in their accounts. So, We should Random Password Generator Online. Use different passwords for every email account, and definitely use unique passwords for shopping websites where you'd enter your credit card.